33 additional recordings from the studio sessions, most previously unreleased and mixed for the first time from the four-track session tapes, sequenced in chronological order of their recording dates. A new stereo mix of ‘Penny Lane’ and the 2015 stereo mix of ‘Strawberry Fields Forever’. Direct transfers of the album’s original mono mix and the ‘Strawberry Fields Forever’ and ‘Penny Lane’ singles. Capitol Records’ U.S. promotional mono single mix of ‘Penny Lane’. Previously unreleased early mono mixes of ‘She’s Leaving Home, ‘A Day In The Life,’ and ‘Lucy In The Sky With Diamonds’ (a mix thought to have been erased from a tape in 1967, but discovered during archive research for the anniversary edition). 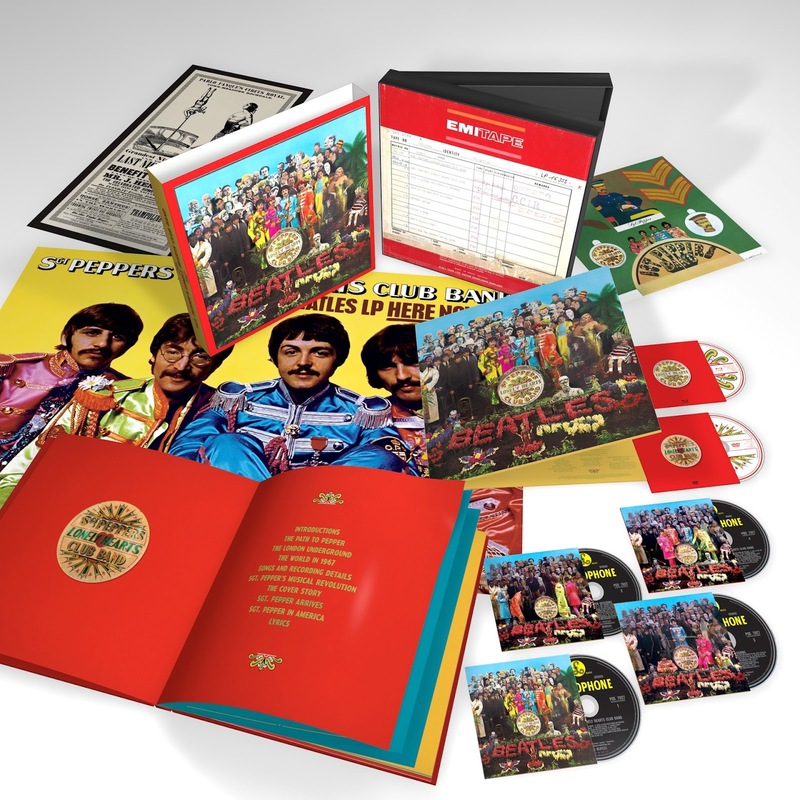 New 5.1 surround audio mixes of the album and ‘Penny Lane’ by Giles Martin and Sam Okell, plus their 2015 5.1 surround mix of ‘Strawberry Fields Forever’. 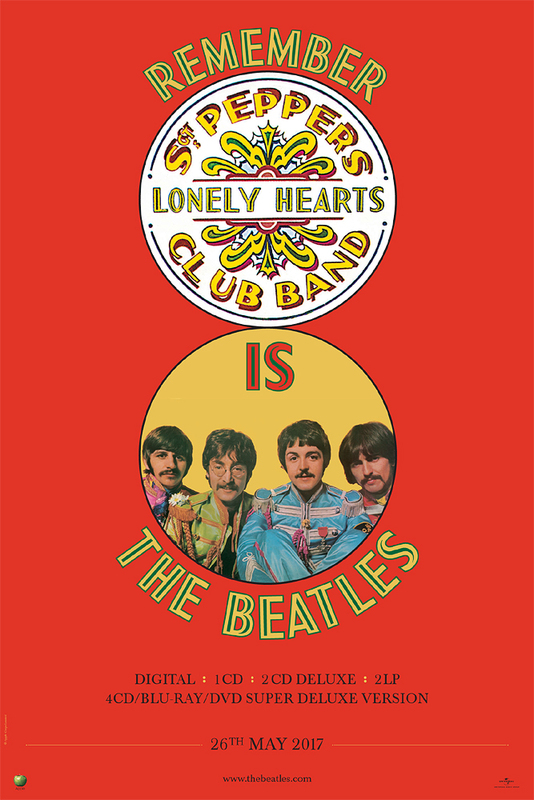 High resolution audio versions of the new stereo mixes of the album and ‘Penny Lane’ and of the 2015 stereo mix of ‘Strawberry Fields Forever’. Video features: 4K restored original promotional films for ‘Strawberry Fields Forever,’ ‘Penny Lane,’ and ‘A Day In The Life;’ plus The Making of Sgt. Pepper, a restored, previously unreleased documentary film broadcast in 1992, featuring insightful interviews with McCartney, Harrison, and Starr, and in-studio footage introduced by George Martin. 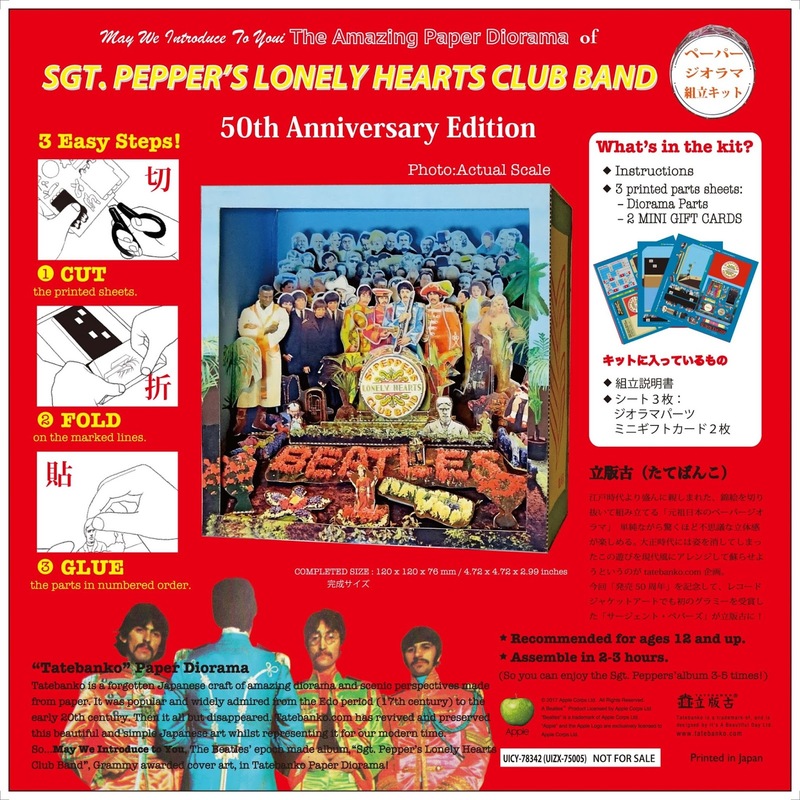 Significantly more detail has emerged about the May 26th release of the 50th Anniversary Editions of The Beatles Sgt. Pepper’s Lonely Hearts Club Band. As already noted, the BIG news is that there’ll be a 2LP set; a 1CD set; a 2CD Deluxe Edition; and a 6 Disc Super Deluxe Edition! That’s four CDs plus a DVD and a Blu-ray disc of the documentary “The Making of Sgt. Pepper”. As you can see, it says “Remixed….a brand new stereo mix by Giles Martin and Sam Okell from the original master tapes”. Plus, wait for it, one CD of “previously unreleased session takes” in the double CD set, and in the 6 disc edition “two CD’s of extras – a deeper dive with 100 minutes of outtakes, many previously unheard and unreleased”. 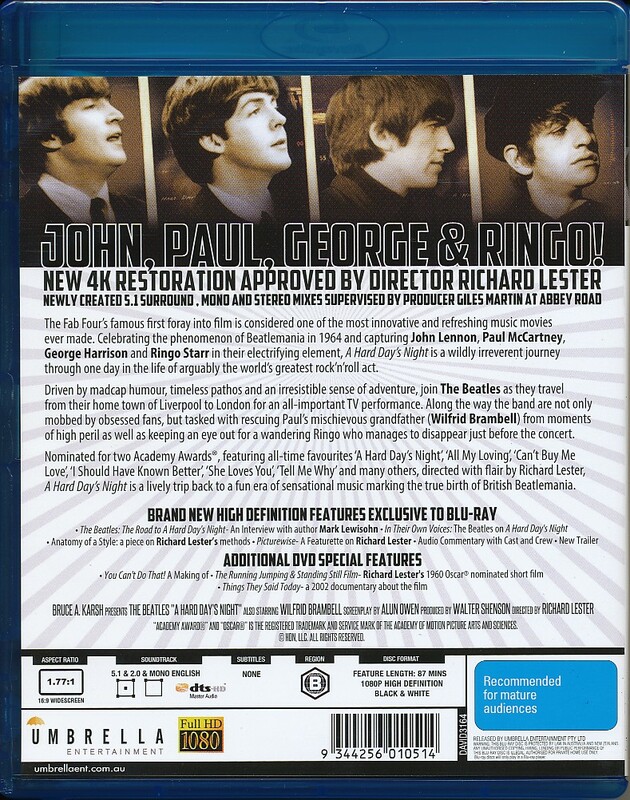 There’ll also be a Mono mix “…with 6 extra tracks, including the ‘lost’ version of “Lucy In The Sky With Diamonds”. 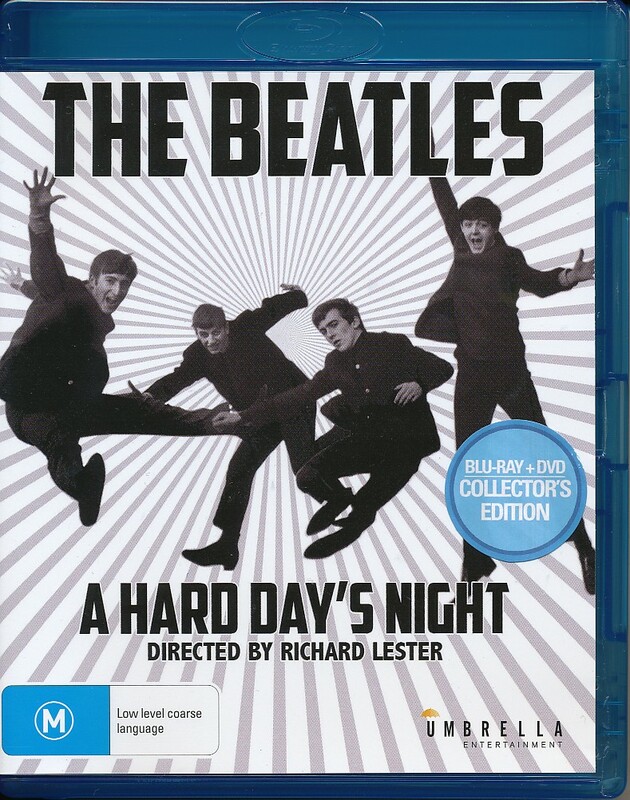 Finally got hold of an Australian, two-disc, BluRay/DVD edition of the 50th anniversary release of A Hard Day’s Night. 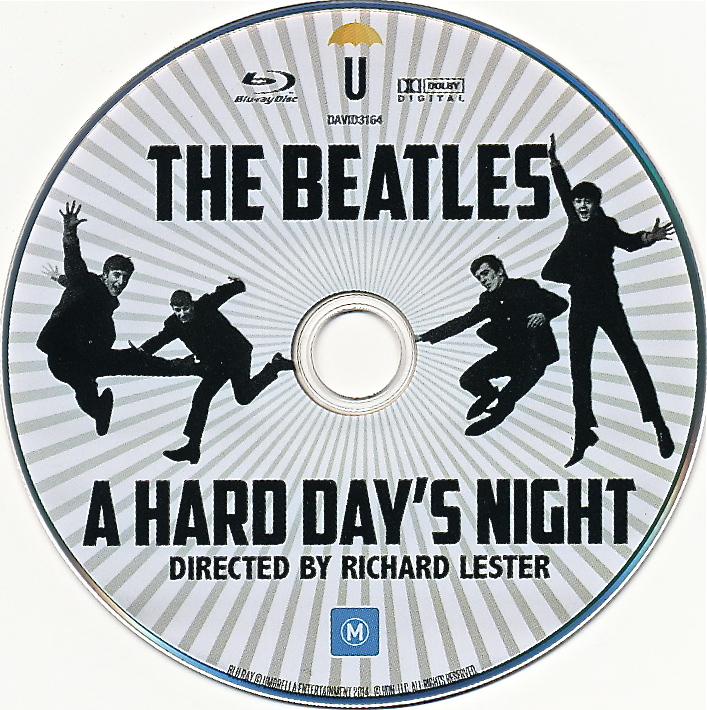 The BluRay special features are The Beatles: The Road to A Hard Day’s Night – An Interview with author Mark Lewisohn; In their Own Voices – The Beatles on A Hard Day’s Night; Anotomy of a Style – a piece on Richard Lester’s methods; Picturwise – A featurette on Richard Lester; Audio Commentary – by the cast and crew; and a new trailer for the film. The DVD adds: You Can’t Do That! – the making of AHDN; The Running Jumping Standing Still Film – Richard Lester’s 1960 short film; Things They Said Today – a 2002 documentary; Audio Commentary – by the cast and crew; and the new trailer for the film. In Australia the film is distributed by Umbrella Entertainment.